On Jan. 16 Laurier alumna, mezzo-soprano and life coach Rebecca Haas returned to campus to introduce current students to the three practices for creating ease and balance during her Faculty of Music Student General Assembly presentation, Don't just cope... thrive! Rebecca became a Certified Life Coach in 2007 and specializes in the art of making a living and a life as a performer. She is in her second year as the Creative Living Coach for the Canadian Opera Company Ensemble and works privately with numerous vocal artists at all stages of career assisting them to find balance and confidence in the unique challenges a professional performer faces. Do you feel like you are forever running after life, unable to catch up and get a comfortable seat? We can all feel this way at times. We search in vain for the 'pause' button so we can just catch our breath. But life isn't happening to us, we are active players in the unfolding story we are experiencing. The pause button we seek is in our hands, and with a few simple questions and ongoing practices we can begin to make the change we seek. Balance isn't a place you arrive and lock in place. It's and activity you engage in daily. Join me and learn three practices that can support your journey to ease and balance and ultimately a more peaceful and satisfying life every day. Still active as a performer, Rebecca has branched out beyond her world of performance to several other creative careers. 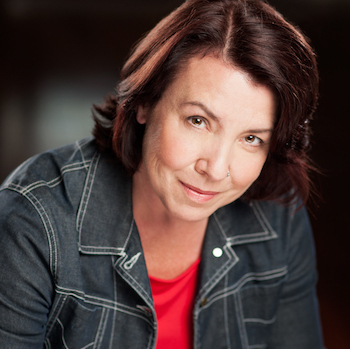 She is currently on staff at the Canadian College of the Performing Arts in Victoria B.C working with triple threat students on the craft of acting a song, and is an active clinician and voice teacher, having worked with the Universities of British Columbia, Victoria, Ottawa, Toronto, and the summer programs of Opera Nuova and St. Andrews Opera Workshop. Interested in returning to campus and sharing your insight with current Laurier music students? Email choosemusic@wlu.ca.